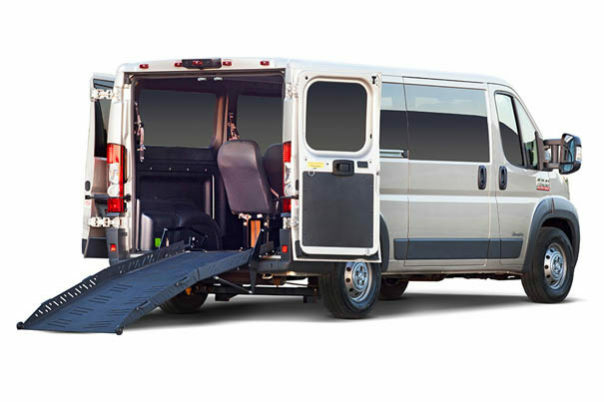 The Ram Promaster is a great full-size van that can be customized in many ways to accommodate one or multiple wheelchair passengers. Side or rear mounted lifts are another option. The ProMaster Tempest X is available in two lengths and two roof heights. The SmartFloor™ seating system makes this full-size van one of the most versatile wheelchair transportation vehicles on the market. Features include hundreds of seating configurations, the high-roof option offers as much as 76″ of interior height, and rear-entry ramp with lowering system offers an alternative to a wheelchair lift. The ProMaster Advantage 1500 offers a rear kneeling suspension, a reinforced L Track flooring system for seating and wheelchair securement, and enhanced interior trim and LED lighting options. Passengers will also find a 1,000 lb. ADA-compliant ramp that’s available up to 42″ wide. Ken worked with our Mobility Consultant in Eugene, OR, Kathy Morgan and Workman’s Comp to find the best accessible vehicle for him and his fragile skin. It was decided upon a full size van with a lift would be the best, and they signed off on a new Ram ProMaster van with a UVL (Under Vehicle Lift). 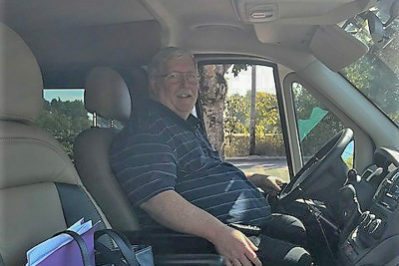 Ken was grinning from ear to ear as he drove off in his new van after 9 months of uphill battles with pressure sore and not being able to drive. Congrats to Ken and his wife on their new adventure.